Jill Rose of Bishop Beale Duncan represented Watercrest Senior Living Group in the sale of a 3.66-acre development site. This pad-ready parcel is located just south of Watercrest’s Market Street Memory Care in Viera. This area of Melbourne, Florida has experienced strong residential growth that will support a variety of uses, including medical, age-restricted housing and single tenant retail. 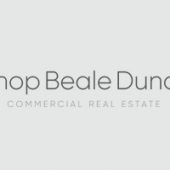 The site was purchased for $1,600,000.00 by Watson Realty Corp. Jill Rose, Vice President of Retail Services for Bishop Beale Duncan, represented the seller in this transaction.